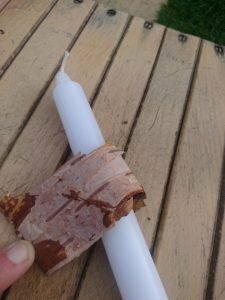 I learnt this “Camp Gadget” a number of years ago when I was on my 1st bushcraft course with my fellow camping buddy ray from urban bushcraft. We attended a course run by a fellow Scout leader and full time Bushcraft instructor David Willis. 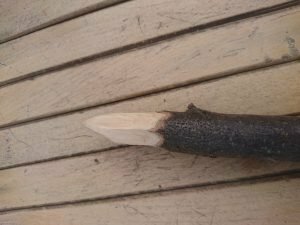 The course was over a weekend and I learnt to much that weekend ad this is when I found my interest of Bushcraft. Its quick and simple to make. All you need to bring with you is a stick candle, the rest. 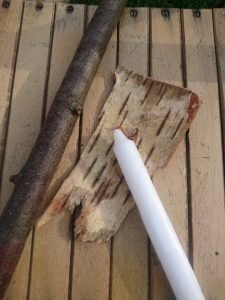 If the materials you will require you can find in the woods. 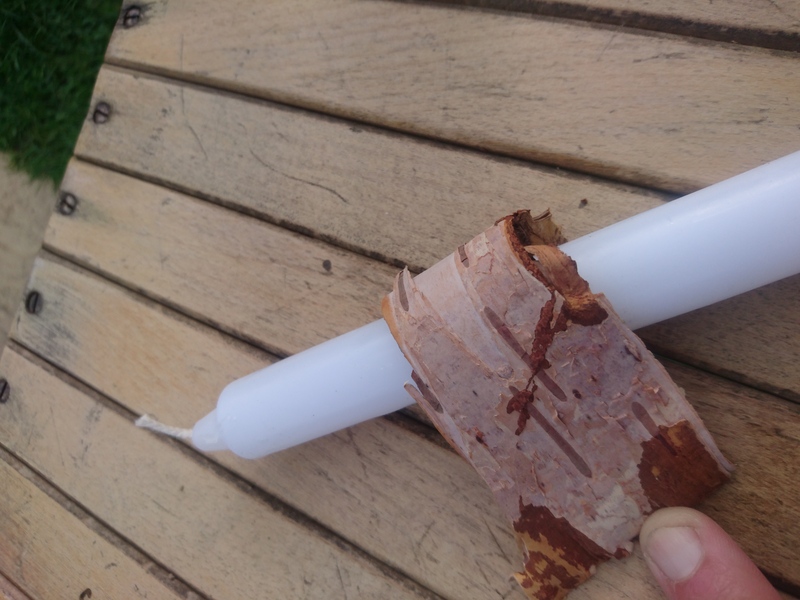 And a stick candle, not tea light! 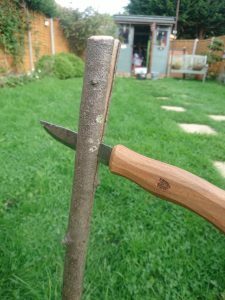 2) Chamfer the top of the branch, this will prevent the wood from splitting when you hammering into the ground and also gives a neater top as well. 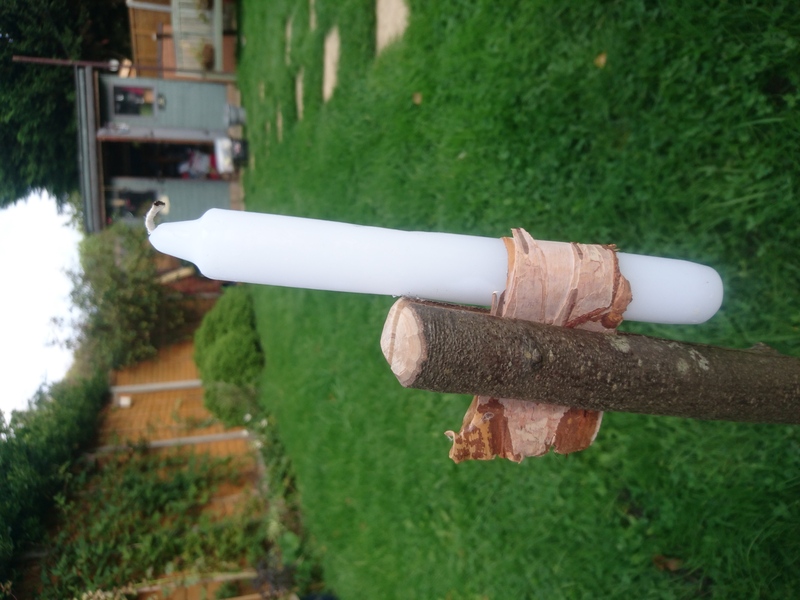 3) Split the branch down about a third of the length. 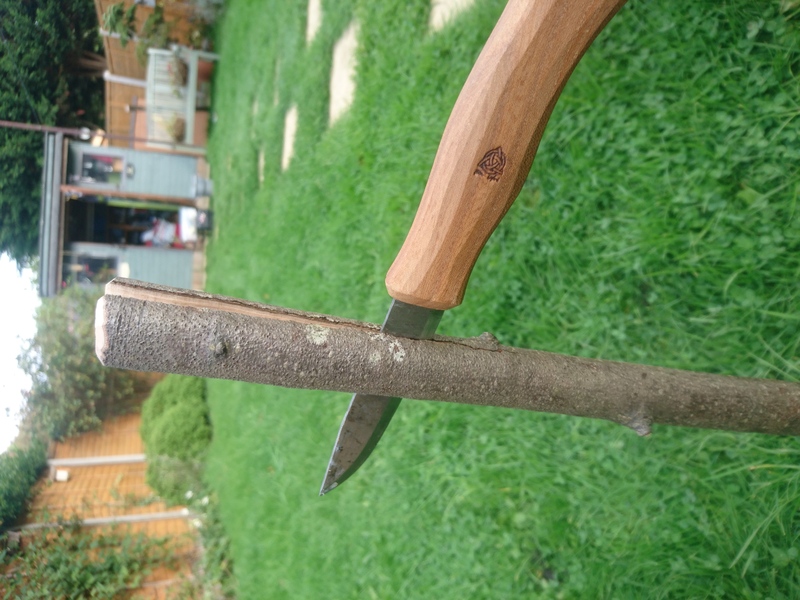 5) Wedge open the split of the branch and slide in the birth bark. 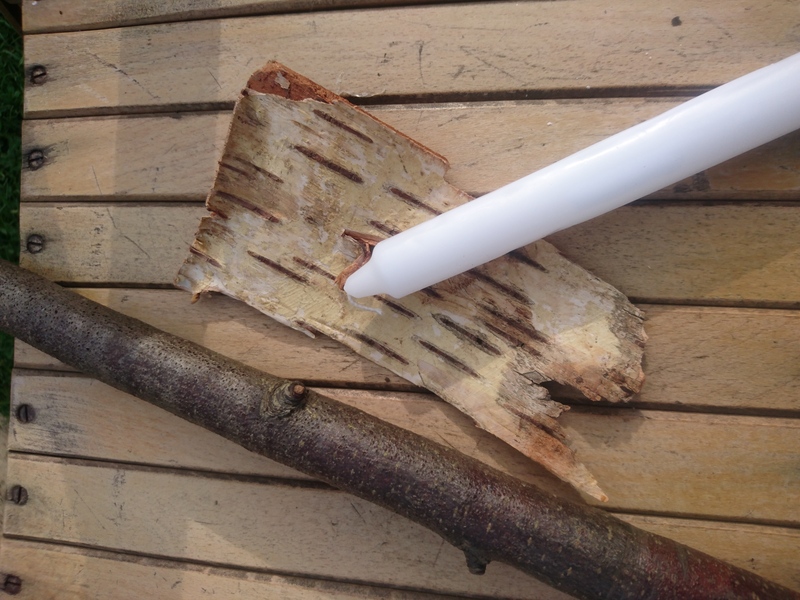 The tightest will hold the bark and candle.Pull the birch bark so the candle sits nice and close to the branch. 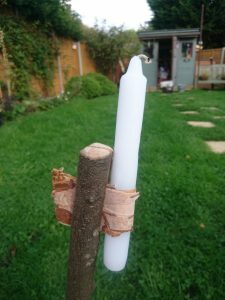 And that’s it, nice and simple now all you have to do is wait for it to get dark and light your Bushcraft candle.